Danish ottoman / pouf from the sixties. Made in the Spottrup furniture factory. 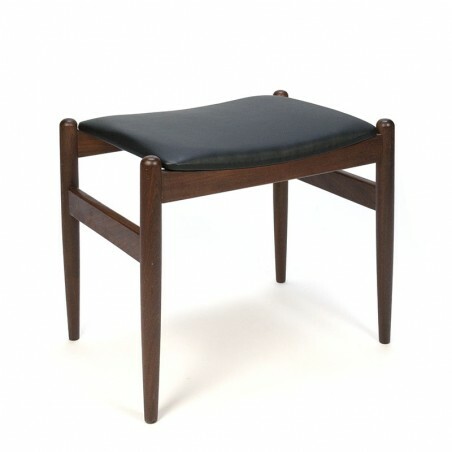 Teak base and black skai upholstery (re-upholstered). The condition is good, minimal traces of use, see details. The dimensions are 51 cm long, 36 cm wide and 42.5 cm high.